Now in the new and improved die cast chassis. The final word in analog chorus pedals. The classic that Kurt Cobain and Adrian Belew relied on to create their signature sounds. 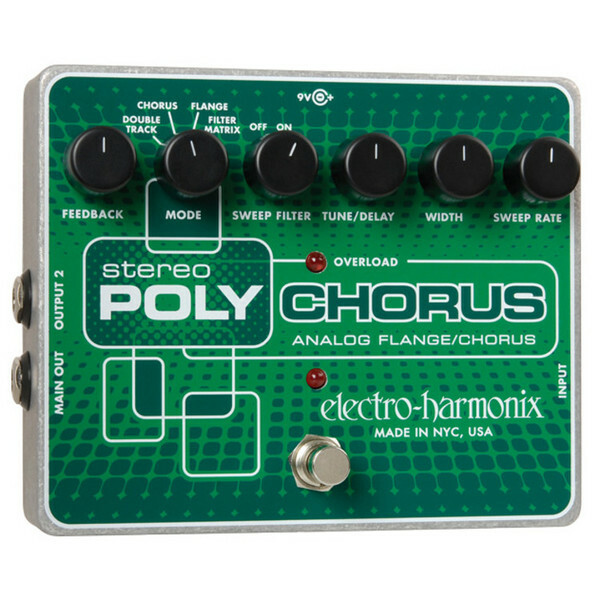 The Stereo Polychorus provides the lushest stereo chorus, rich chiming flange, and the over-the-edge effects that made this versatile pedal legendary. Click the link below to view the full instructions for the Electro Harmonix Stereo Polychorus Guitar Effects Pedal.